I missed out on Whitechapel the first time round and have become seriously hooked watching on ITV Encore. OMG what brilliant drama, acting and gripping story lines. It’s just BRILLIANT. Taking all that into account,why the hell have they axed it. It can’t be they ran out of ideas or even thought it had run its course. Please, please, I’m begging you. Don’t do this! Chandler, Miles, Buchan, Kent, Riley, Finley – they need closure. Oh ok; I need closure. Where can I find re-runs? ITV Encore or you could try Catch up on Sky if you have it. I-Player worth a try too. Good luck. ‘Whitechapel’ is no more. I was so looking forward to Series 5. Is there some sort of entity haunting the corridors of the Whitechapel police station? An absolute tragedy to discontinue such a superb show. I was just checking to see if some of my most like shows would be back. Sorry to hear about Whitecastle! I enjoyed the series. Not sure who makes these decisions, but I am not happy with their decision. Now off to see if my series the “Intruders” will be back for a season two. fingers x’d . they never aired season four. I think they aired season 3 back in 2013. does anyone know? they probably never will air whitechapel season four. as it is now almost two years from it’s uk showing. I watched it on Catch up TV on Sky or you could try ITV Encore or IPlayer. I just did the same. AWESOME serie! That is terrible news! I really hope they air the fourth season in the US. I really enjoy this show. Yes, yes, yes…air the final season!!! Sorry to see it go. Great cast and story. So much garbage on tv and cancel a good show. Who makes these decisions. excellent enjoyed every moment. waiting for season 5, do not disappoint!!!!!!!!! Loved Whitechapel. Sorry to see it go. Tired of watching dumbed-down shows. One of the few show I watched on BBC. A real shame. I love this show…..why can’t they cancel something else like Dr Who…seems like BBC America doesn’t care what they show..
Hope BBC America televises the rest of the series. 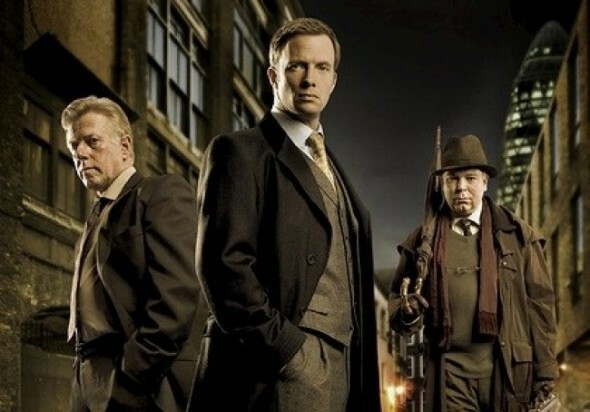 Really like Whitechapel and LOVE Rupert Penry-Jones. I could just watch him read the phone book — he’d make it interesting. ( I know…phone books aren’t seen much these days.) Rupert is a great actor. Wish he’d be cast in a series in the US.